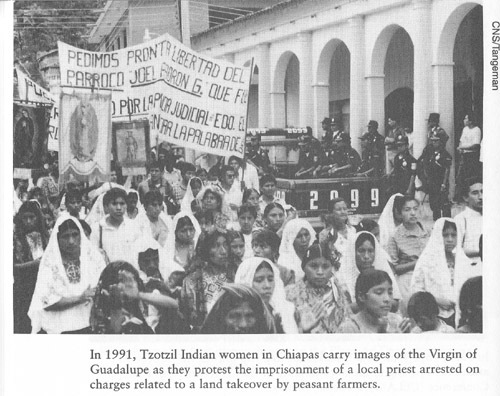 From the Cover: On New Year’s Day, 1994, the uprising of Indian peasants in Chiapas, Mexico signalled a dramatic new chapter in a long hist­ory that began five hundred years ago. That history involves three major players: the rich and powerful elite, the church, and the poor majority. In Mexico at the Crossroads, veteran correspondent Michael Tangeman explores the history of interaction between these rival forces in America’s closest neighbor, beginning with the arrival of Spanish conquistadors and missionaries in the sixteenth century, through the era of independence, revolution, and emergence of the modern nation. violent debates over the NAFTA agreement and the impact of its neo-liberal program on the rights and welfare of the poor. Ending with the bitterly contested 1994 elections, Mexico at the Crossroads offers the most comprehensive review available of the unfolding drama in Mexico, its meaning and implications for the future.